It is well known that cleaning carpets is quite a difficult task, so traditionally carpet cleaning companies take care of this activity. But things have changed a bit recently. There are carpet cleaning machines that are available for home renting and the market can now offer a lot of carpet cleaning products comparable to the professional ones. 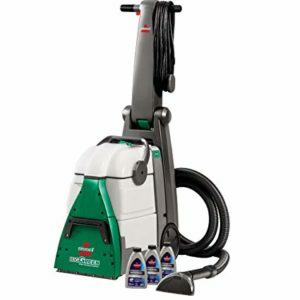 There are so many different models of carpet cleaning machines that are available, like for example sport cleaners or upright cleaners with scrubbing brushes, until full-size commercial-grade models. Even though the brands producing these types of cleaning machines are just a few, the variety of models is quite big, so most of the times it is difficult to figure out which model of the cleaning machine will best fit your household needs and it is worth buying it. The good news is that we have done the research for you. 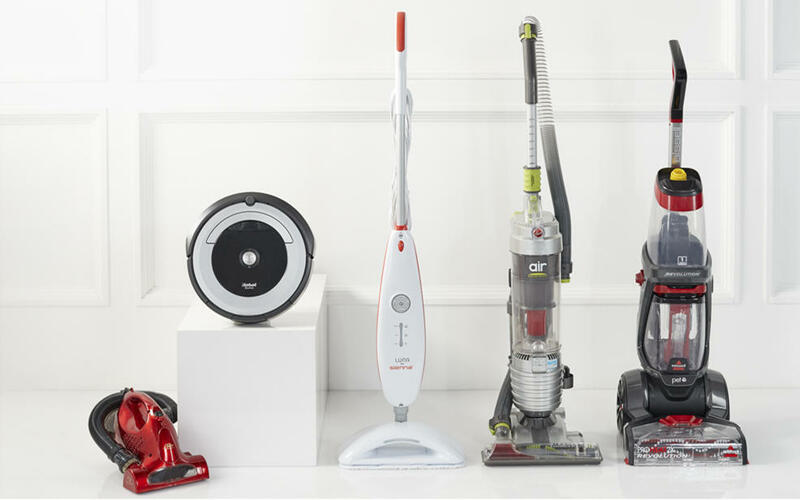 We took the challenge to compare dozens of models of carpet cleaning machines. The most important factors used for evaluating them were – cleaning power, price, durability and user-friendliness. Perhaps now it would be the time when you can ask yourself why would you need a carpet cleaner after all? May be you have one really good vacuum cleaner, but even if it is an efficient machine it can not make the entire job done, because there is a lot of grime that gets trapped between the threads of the carpet. Of course you can take a great deal of dirt, debris and hair out of the carpet, but this is all that your vacuum cleaner can do! At the same time carpet cleaners are specially designed to take care of everything related to carpet cleaning – remove dirt accumulated in the carpet for years, stains and odors from the pet, as well as any type of filth on it. When you remove the cleaning water after passing over a single carpet you may feel shock of the way it looks. After this deep cleaning, your carpet will look better than it has in years. And this will help your carper last much longer than it will with just a regular vacuum cleaning. But the most important thing here is to find the right cleaning machine for you. Because there are a lot of models, you need to be careful not to get one that is poorly designed, because there are such machines of this type that completely defeats the purpose for having one. That is why we did our survey – to look for the models that will make no mess and will not cause you frustration. This is the machine that is rated as number one selling item of this type in Amazon. And it is so popular for a reason. 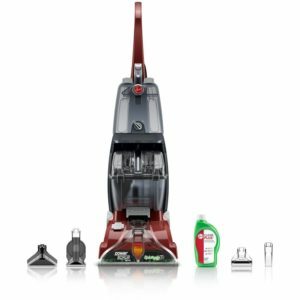 Hoover Power Scrub Deluxe is user-friendly, it is powerful and versatile enough so that it compete many of the larger models. And at the same time the set comes in about everything that you may need in order to do a regular, easy and efficient carpet cleaning. This is a model that we could recommend to people who have tight budget, as well as for those who have just a couple of rooms to handle the carpets inside. This model is not one of the cheapest recommendations, we are aware of that fact, but for this high price it actually has everything. There is a variety of cleaning modes that you can choose, including accessories, and there is a special heating system in it for keeping the temperature of the water to be hot while you are working with the machine. And the positive reviews from customers are also quite important here, because they say that with this machine they have successfully removed old and stubborn stains. This is a model that is ideal for people owning a pet, or for big families, where the carpet is put under heavy foot traffic. 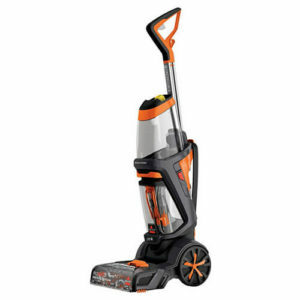 This model is also one of the best choices; it is like a professional-guide carpet cleaner, ready to be used. It is equipped with a big and powerful motor that quickly gets rid of the grime. It has a better suction power, and this machine gets the job done as the way it should be. In order to work quickly with it, you have big and nice footprints that are designed with this purpose. And the best thing about this machine is that it is also designed to fit your home with a hose that cloud be packed and a foldable handle. Our top chose for quality is the Bissel Big green Deep Clean Machine, but it is not a choice for a household that is not big, and the carpets that need to be cleaned are just two or three. The advantages are that it is really powerful, efficient and effective, but the disadvantage is that it needs a fair amount of space for storing it. This is our recommendation for big houses, big families, with two-three floors that have to be regularly cleaned, and of course when having some spare space for storing the cleaning machine. The least expensive option is the Hoovers and at the same time it has all that you need for your household basic cleaning. But it also has a few disadvantages – it may not be the best choice for an intensive and frequent cleaning due to its mixed durability. If you need an efficient carpet cleaner and at the same time you have a tight budget, the Power Scrubber may be a better choice. And for those in the middle with the budget and the efficiency, our recommendation is the Bissel ProHeat. It is not as expensive and for example it has a better build equality than the Hoover. It is also great for pet owners, especially with all those tools and attachments in the box.